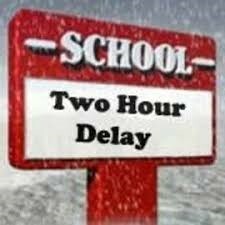 Big Walnut will operate on a 2-hr delay, Monday, February 11, 2019. AM PreK and kindergarten will be picked up 2 hrs later and dropped off 1 hour later than usual. PM PreK and KG will be picked up 1 hr later than usual and dropped off at their regular time.